The LG L35G User Manual has been published by LG official website. The manual is support for english and spanish language. For owner of the smartphone, you must read the manual because provide many important information for example about settings guide like update phone software and factory reset. The LG L35G is powered by Dual-core 1.2 GHz Cortex-A7 processor. It has 3.2 inches, IPS LCD capacitive touchscreen. The phone has physical dimensions of 109.4 x 59 x 11.9 mm. The LG L35G work on under GSM and HSDPA network. It's equipped with 3.15 MP camera. There are 4 GB internal memory, 512 MB of RAM and support microSD, up to 32 GB. This smartphone is also powered by Qualcomm MSM8210 Snapdragon 200 chipset and Li-Ion 1540 mAh battery capacity. The LG L35G manual contains information such as Installing the SIM card and battery, Installing the memory card, Formatting the memory card, Lock your phone, Connecting to Wi-Fi, Connecting to Bluetooth Devices, using contacts and messages, using camera and viceo, using Bluetooth, using Polaris Viewer, app amanger, Recording a sound or voice. Next information about Call settings, Using Smilies, using Browser, settings guide like Wireless & networks, Location & security, Update your smart phone without a PC(FOTA), Update your smart phone by connecting it to your PC, Accessories, FAQ and safety. What are the functions available via Bluetooth? If my Bluetooth headset is connected, can I listen to my music through my 3.5mm wired headphones? How can I back up Contacts? Is it possible to synchronize all the Email folders? Should I have to log into Gmail whenever I want to access Gmail? Is it possible to play YouTube videos? Is there a file size limitation for when I want to use a .MP3 file as a ringtone? What is the maximum supported size for a memory card? 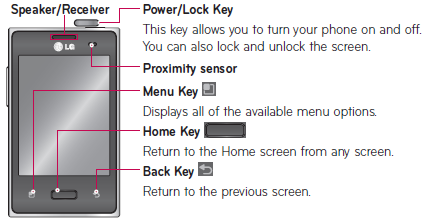 What should I do if I forget my the Unlock Pattern? How can I change the amount of time for the backlight to turn off? When I dial a number, the phone plays tones. How do I turn this off? When Wi-Fi and 3G are both available, which service will my phone use? Is it possible to charge my phone by USB cable without installing the necessary USB driver? Can I use music files for my ringtone? Which wireless bands are supported by the phone?